The inquiry stems from a 650-page Senate report from the Permanent Subcommittee on Investigations that indicated Goldman had misled clients and Congress about its practices related mortgage-linked securities. Senator Carl Levin, the Democrat of Michigan, who headed up the Congressional inquiry, had sent his findings to the Justice Department to figure out whether executives broke the law. The agency said it is reviewing the report. The subpoena come two weeks after lawyers for Goldman met with the Manhattan District Attorney’s office for an “exploratory” meeting about the Senate report, the people said. “We don’t comment on specific regulatory or legal issues, but subpoenas are a normal part of the information request process and, of course, when we receive them we cooperate fully,” said a Goldman spokesperson. Bloomberg earlier reported news of the subpoena. The subpoena is the latest blow to Goldman, which since the crisis has faced criticism that is shorted the mortgage before the collapse, making billions of dollars at the expense of its clients. 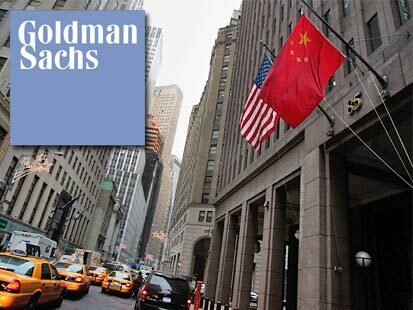 In early April, the Senate subcommittee published a scathing report, which took specific aim at Goldman. It notably highlighted testimony by the financial firm’s chief executive Lloyd Blankfein, who denied the firm was making large bets against residential mortgages while selling securities based on the home loans. Shares of Goldman slipped more than 2 percent on Thursday. The stock, which closed Wednesday at $136.17, was trading above $170 in early January.